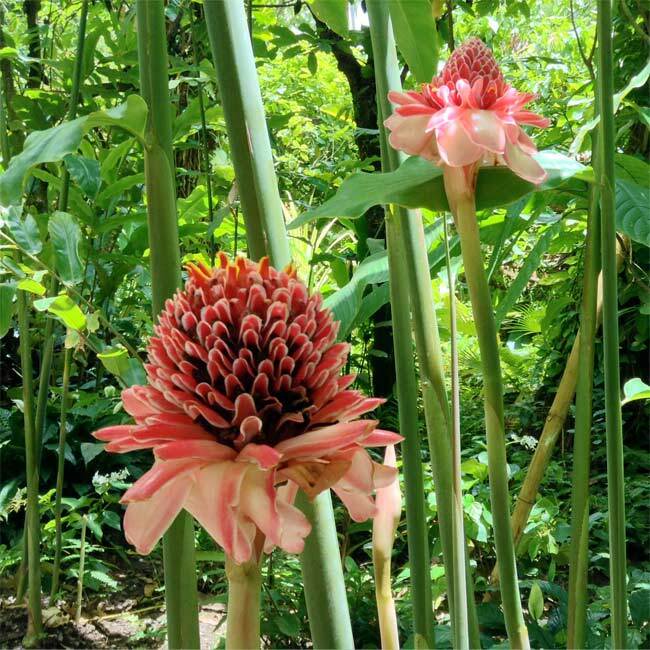 Found growing wild in the Indo-Pacific region, this beautiful flowering plant has flowers very similar to the giant Proteas of South Africa. This variety produces deep pink flowers at the top of tall stems. It is cultivated for culinary use including the edible inner portions of the stems, either raw or cooked, and its seeds are also used in cooking! 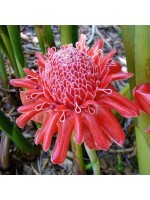 Etlingera species are also used as medicinal plants and in perfumes and shampoos! This plant can get fairly big, growing up to 7m tall in ideal condidions, but it can be dwarfed by keeping it in a smaller pot and its amazing flowers are well worth it! Frost tender, keep above 5°C.